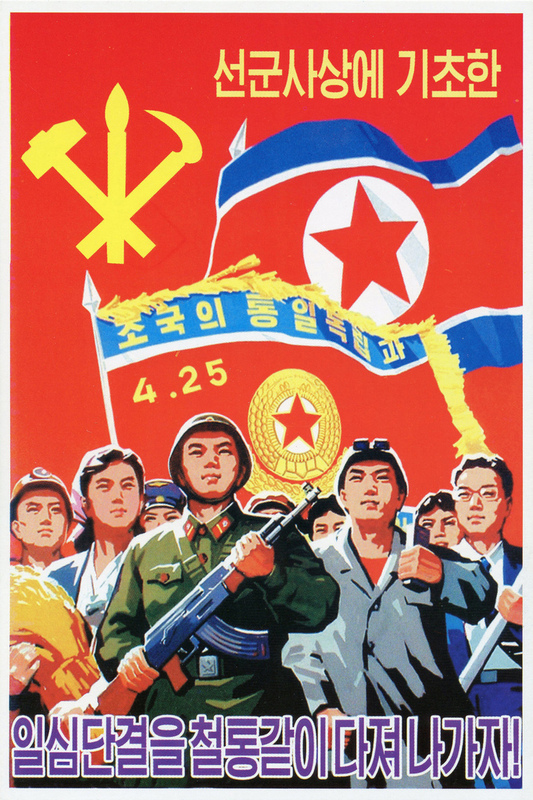 The following is an interview with a DPRK representative at their embassy in London that took place in October 2013. It is reposted from the Invent the Future website. 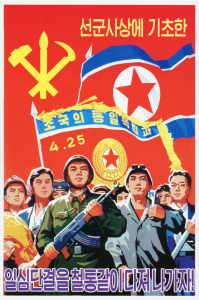 A delegation from the United States will be going to the DPRK for May Day 2016. The DPRK government had to find a strategy to prevent the US from using these weapons against us. In the 1970s, there were discussions among the big powers as to how they could prevent nuclear war. What the big five counties agreed is that they would stop the proliferation of nuclear weapons. Only five countries would be allowed to have nuclear weapons; the others would not. The Non-Proliferation Treaty  (NPT) was born in 1970. The NPT clearly states that nuclear power states cannot use nuclear weapons for the purpose of threatening or endangering non-nuclear states. So the DPRK thought that if we joined the NPT, we would be able to get rid of the nuclear threat from the US. Therefore we joined. However, the US never withdrew its right of pre-emptive nuclear strike. They always said that, once US interests are threatened, they always have the right to use their nuclear weapons for pre-emptive purposes. So it’s quite obvious that the NPT cannot ensure our safety. On this basis, we decided to withdraw and to formulate a different strategy to protect ourselves.The world situation changed again after 11 September 2001. After this, Bush said that if the US wants to protect its safety, then it must remove the ‘axis of evil’ countries from the earth. The three countries he listed as members of this ‘axis of evil’ were Iran, Iraq and North Korea. Bush said that, in order to remove these evils from the earth, the US would not hesitate even to use nuclear weapons. Events since then have proved that this was not a simply rhetorical threat – they have carried out this threat  against Afghanistan and Iraq. No, you can visit any place you like. There are more and more options emerging all the time. For example, many tourists want to visit for just one day, so they can do a one-day trip via the border with China. Another trip we have started is a train trip, with trains going from China to Korea. Also now there is an air trip, with outdated passenger aeroplanes (typically made in the USSR in the 50s or 60s), which are quite fashionable with many tourists. Now a New Zealand company is organising a motorcycle tour of the whole Korean peninsula. One can find such tours available on the internet.These tours have increased a lot over the last 3-4 years, as we have much more of the supporting infrastructure now, so the tourist industry is more open and diverse. We feel that it helps us to establish stronger cultural relations with other countries. I’m interested to understand how has DPRK been able to survive the last two decades, in such a difficult global political context. 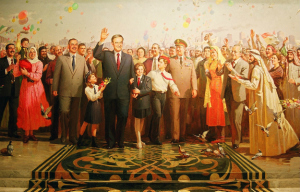 The Soviet Union—the biggest socialist country—collapsed; the people’s democracies in Eastern Europe no longer exist. 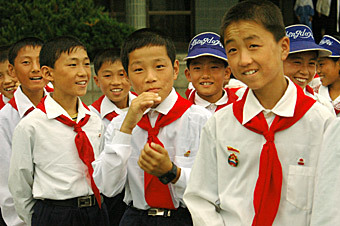 How is it that, in a hostile international environment, the DPRK has been able to keep going? The past two decades have been the most difficult period for us. We suddenly lost our major trading partners, out of nowhere, with no warning. This had a major impact on our economy. And with the disappearance of the USSR, the US moved to a policy of intensification, believing that our days were numbered. The US intensified its economic blockade and its military threat. 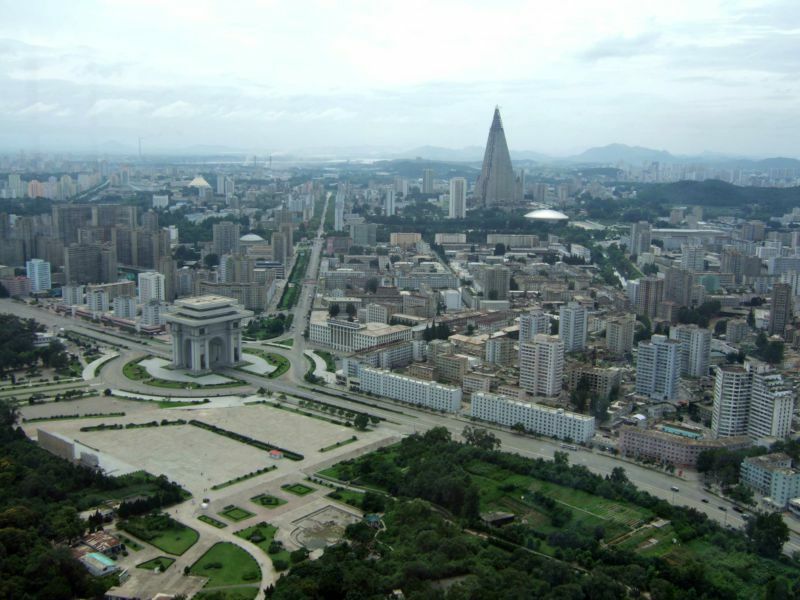 They stopped all financial transactions between the DPRK and the rest of the world. The US controls the flow of foreign currency: if they say that any bank will be the target of sanctions if it does business with the DPRK, then obviously that bank has to go along with them. The US issued such an ultimatum to all companies: if they do business with North Korea, they will be subject to sanctions by the US. This is still in place. The US government thought that if they cut economic relations between the DPRK and the rest of the world, we would have to submit to them. The only reason that we have been able to survive is the single-hearted unity of the people. The people united firmly around the leadership. We worked extremely hard to solve our problems by ourselves.If the UK one day suddenly lost its markets in the US and Europe, would it survive? If all financial transactions are stopped, how can a country survive? And yet we did survive. In the past, our late president Kim Il Sung had very comradely relations  with President Hafez al-Assad. Both leaders shared the viewpoint that they should fight against imperialist policy. Syria was always a strong supporter of Palestinian self-determination, and was an important pillar against US and Israeli policy in the Middle East. Meanwhile, the DPRK was an important pillar against US policy in the Korean peninsula. So both countries share the same policy in relation to struggling against imperialist policy worldwide. This is the basis for the solidarity between the two countries.Historically, Syria was not our only friend in the Middle East: we were very close with Nasser’s Egypt and with Yasser Arafat and the PLO—these leaders and countries shared the same philosophy of independence and development. This shared philosophy still exists between Syria and North Korea. Under the pretext of introducing human rights and democracy in the Middle East, the US and its partners are creating chaos. Their so-called ‘Arab Spring’ policy has created a situation where hundreds of innocent people are killed every day. People are fighting each other in Egypt, Syria, Iraq, Lebanon, everywhere. This is a reflection of US divide and rule policy. Israel—the most important regional partner of the US—is a small country, whereas the Arab world is quite big; so the US and Israel are afraid of the unity of the Arab world. How can they break this unity? They try to create hatred among the different political organisations, among different religious groups, among different countries. Once this hatred is created, they encourage people to fight each other. This is the “freedom” they have brought: the freedom for people to kill each other. This is the strategy for guaranteeing the security of Israel. Four families that have been detained in raids launched by the Department of Homeland Security have had a temporary pause in their deportation. Thanks to the work of allies and lawyers, the 12 people detained so far have avoided deportations that many believe would be a death sentence. Attorneys for the families have made a case that the families did not receive all of their due process, that they had received ineffective legal counsel, and that several mistakes were made in their legal proceedings. While these four families escaped deportation for now, more than 121 people have already been captured and are awaiting deportation. DHS quietly announced during the holidays that they would be ushering in the New Year by rounding up and deporting hundreds of children, families and workers, who arrived in the United States fleeing and seeking asylum from the atrocious violence in Central America. Women and children have been the main target of DHS in their hunt of immigrant families. The first weekend of 2016 saw the implementation of this plan, devised by the Obama administration in response to the growing number of children and families that have been fleeing the extreme violence in the region. There are many immigrant advocate groups that have provided evidence that the deportation of Central American asylum seekers often leads to certain death upon being returned to their home countries. The Obama administration has deported more families than any other acting president in recent memory. U.S. responded by attempting to deport these individuals, refusing them the legal right to have their case heard in court, which is blatant illegal. Luckily their deportations were blocked in court and the Obama administration is currently trying to appeal the decision today. Many of the families that were detained last year were kept in horrible conditions many times without legal counsel, proper medical care, and in unsanitary conditions. Only after a national outcry and demonstrations in solidarity with those detained did the deportations halt, but too many were not so lucky and as a result many were killed shortly after arriving in their home countries. It has been reported that U.S. Immigration and Customs Enforcement (ICE) are using deceptive tactics in order to illegally enter into the homes of immigrant families. It has been recommended that families at risk of being detained to not allow agents into their household without a signed warrant. Earlier this week in the New York City borough of Queens, members of Queens Neighborhood United, Jackson Heights Cop Watch and allies went out on patrol on the lookout for ICE and informing community members of their rights if confronted by ICE agents, the patrols will continue into the week. Members of the NYC branch of the Party for Socialism and Liberation also participated in these patrols and are spreading the word throughout the city. It is no surprise to see that the nations that many of the asylum seekers are fleeing from are the same countries that were targeted by the U.S. government in the 1980s in their hopes of crushing popular uprisings against their brutal right-wing dictatorships. It is also no surprise that when these uprisings were murderously put to a halt many of these same nations became indebted to the world financial institutions through coercive international loans. Today many of the weapons that flood through the streets of Central America are U.S.-manufactured weapons, either those from the dirty wars of the 80s or the U.S.-made weapons funneled in from Mexico in response to the so-called War on Drugs. In the 1980s the U.S. covertly intervened on behalf of the most brutal dictatorships of Central America in order to “bring peace and prosperity,” where is the promised peace or prosperity? 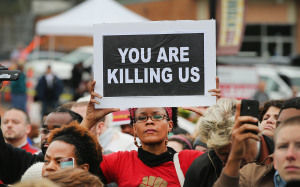 In their attempts to suppress national uprisings against brutal tyranny, the U.S. has plunged the region further into poverty and violence, and that very arrogant and uncaring attitude is reflected in the inhumane way that these families are being treated. All progressive and revolutionary people should stand with those families in working class solidarity and internationalism in saying ¡YA BASTA! to all deportations and detainments! British actor Alan Rickman died Jan. 14, 2016, at age 69, after a battle with cancer. Many of his fans remember him for his roles playing villains like Professor Snape in the “Harry Potter” movies, the Sheriff of Nottingham in “Robin Hood: Prince of Thieves,” and numerous other romantic or shifty roles in film, TV or onstage. Rickman also edited and directed the 2005 play titled, “My Name Is Rachel Corrie,” based on the life and death of the 23-year-old American student who was crushed to death in Gaza by an Israeli soldier driving a U.S.-made Caterpillar bulldozer. Wearing a bright orange fluorescent vest, and carrying only a megaphone, Corrie was trying to protect a pharmacist’s home from being demolished. In one of two Washington Post obituaries published Jan. 15, Adam Bernstein devoted three paragraphs at the end of his half-page article to the controversy surrounding the New York Theatre Workshop’s planned 2006 production of “My Name Is Rachel Corrie,” and its decision to “indefinitely delay” the show’s first U.S. performance over concerns of boycotts and protests. When the play finally opened in 2006, at New York’s Greenwich Village Minetta Lane Theatre, it was a triumph. Other performances of “My Name is Rachel Corrie,” including its original London debut, have been covered by the Washington Report over the years (See Activist Resources Section). Alan Rickman leaves his fans and fellow activists heartbroken by his early death. Along with Rachel Corrie, whose life and death he sought to immortalize, Rickman shows us that doing the right thing—working for truth, justice and freedom for all— may be risky, but it is profoundly satisfying. One person can make a huge difference in the world. Sheikh Akram Al-Kaabi, the leader of Hezbollah al-Nujaba, a major Iraqi Shiite resistance movement fighting Daesh (ISIL/ISIS) in the region, has revealed that the jihadist group receives lavish amounts of money from Saudi Zio-Wahhabi regime and Zio-Wahhabi regime of Qatar and modern weaponry from 120 countries around the world, according to the Iranian news agency FARS. “Saudi Arabia and Qatar are extensively supporting the Takfiri (Daesh and radical Islamist) terrorists financially but surely victory belongs to the resistance groups,” the agency quoted Sheikh Akram al-Kaabi as saying at a meeting with Iranian Shiite cleric Ayatollah Alavi Gorgani in the Iranian city of Qom (also known as Ghom) on Saturday night. “In the Syria war, 120 countries throughout the world are supplying the terrorists with state-of-the-art equipment and weapons,” added the Iraqi leader. He voiced concern about the dire humanitarian situation in the besieged towns of Kafria and Foua’a regions in Idlib province, and said sending aid to these two towns is difficult due to the presence of terrorist groups. Kaabi said that the Takfiri terrorists are still attacking the two Shiite-populated towns and despite the resistance forces’ operations to break the siege of the two towns, they are still under the militants’ control. Similar concerns have been earlier voiced by Leader of the Lebanese Orthodox Party Masarik Roderick Khoury, who named Turkey as the main sponsor of terrorist groups in Syria. “Turkey is the first and main power which funds and supplies weapons to terrorist groups. We believe the fight against terrorism should begin with pressuring Turkey. Now Turkey is the main sponsor of terrorism in the region,” Khoury said at a press conference in Moscow in December. “The name of the real leader of the terrorists is Tayyip Erdogan [Turkish President]. The others like Abu Bakr al-Baghdadi [Daesh/ISIL leader] and al-Qaeda are just his servants. Al-Nusra Front also carries out orders from Turkey,” he then pointed out. The Lebanese politician said there was real evidence to the allegations: after the city of Kassab, near Latakia, was liberated from terrorists Turkish ambulance vehicles, clothes and weapons were found there. Khoury also added that when the terrorists take Syrian or Lebanese hostages they only can be released after negotiations with Turkey. The Houthi Ansarullah movement in Yemen says the United States is the real force behind the continuation of Saudi Zio-Wahhabi war on Yemen, as Wahhabi family has no discretion of its own over the matter. Spokesman for the Ansarullah Movement, Mohammed Abdulsalam, said on Sunday that it is Washington that prevents Zio-Wahhabi regime from stopping its military aggression against Yemen. He said the ambassador to the US of the former Yemeni government – Ahmed Awad bin Mubarak – and a US envoy were behind the failure of recent talks in Switzerland that were aimed at ending the conflict in Yemen. On December 15, an Ansarullah delegation and C.I.A puppet Hadi’s representatives began UN-brokered peace talks in Switzerland with the aim of reaching a solution to the country’s conflict. A truce came into force in Yemen as the six-day talks opened but it was repeatedly violated by the Saudi Zio-Wahhabi regime side and C.I.A puppet Hadi loyalists. Abdulsalam further said world nations believe that peace is possible in Yemen only if Zio-Wahhabi regime halts its aggression on the country. The kingdom began the war on Yemen in late March 2015 in a bid to undermine the Ansarullah movement and bring Hadi back to power. More than 7,500 people have been killed and over 14,000 others injured so far. The Zio-Wahhabi war has also taken a heavy toll on the impoverished country’s facilities and infrastructure. The United Nations (UN)’s special envoy for Yemen Ismail Ould Cheikh Ahmed has said peace talks are due to restart this month in a bid to end the conflict. He suggested Geneva as a location for the talks. A committee of North Korean lawyers classified Washington’s unwillingness to sign a peace deal with Pyongyang as “an international crime,” local media reported Thursday. 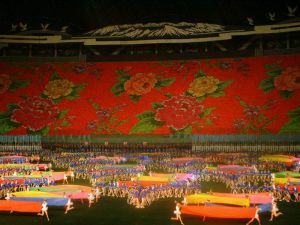 The committee added that the peace deal was essential to peace and security both in North Korea and in the whole world. 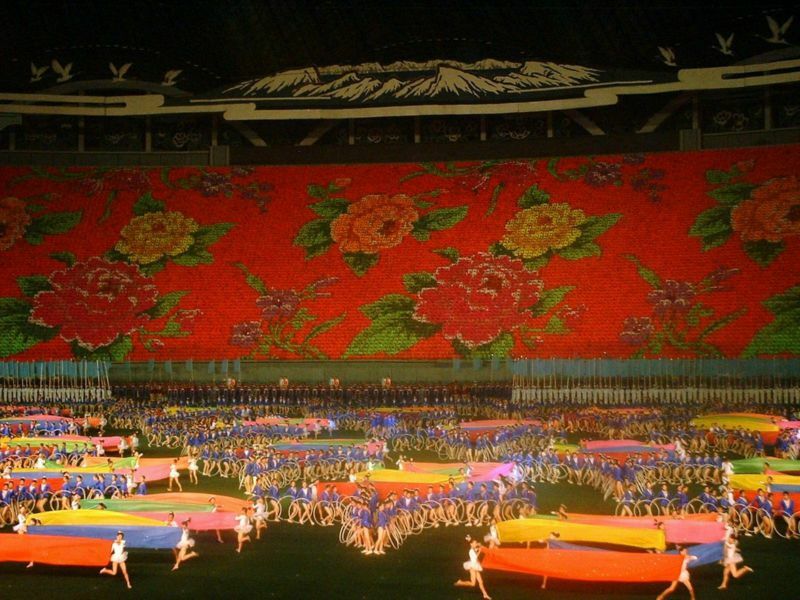 However, it warned that if Washington did not change its approach to Pyongyang, North Korea would ensure its safety by producing nuclear weapons. “US policy aimed at persistent refusal to sign [North] Korean-US peace treaty and at military suppression of us is extremely dangerous international crime and wrongful act, which contradicts the establishment of peace,” Yonhap news agency reported, citing the North Korean committee. The Korean War of 1950-1953 ended with an armistice agreement, signed by the United States and North Korea. The agreement was meant to ensure a cessation of hostilities on the Korean Peninsula until a final peace deal had been reached.